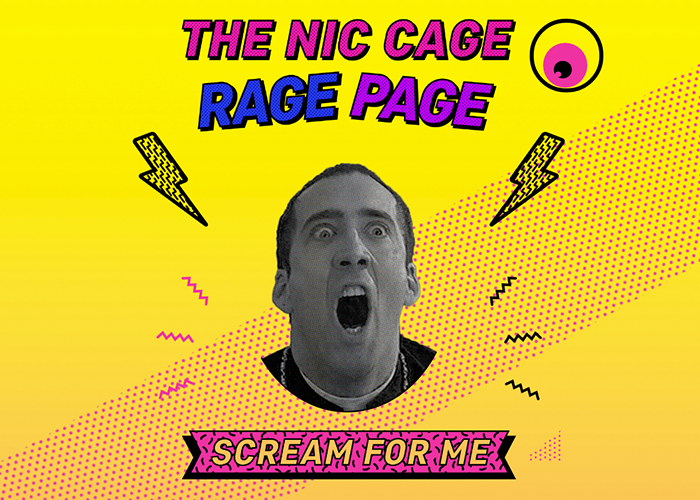 This here is the Nic Cage Rage Page. It’ll show you what kind of Cage you rage at. Press the button and get your rage on. Are you Cage enough?